Today we held an assembly to announce the results of our winter 'Dream Jar' reading challenge. 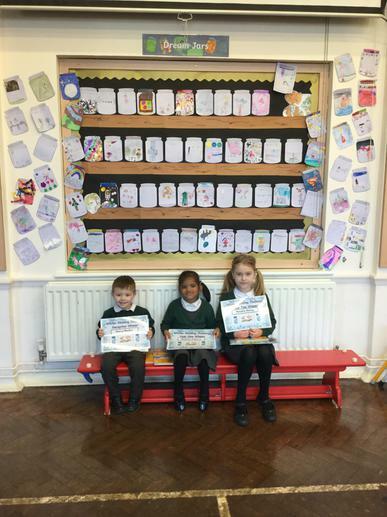 A big congratulations to our three winners! Thank you to everyone who took part - all of the 'dreams' are on display in the hall for everybody to look at.